Sometimes, a new, more modern version of something comes out and blows everyone and everything —including the original— away. I mean, my mom liked (and was scared by) the 1990 version of IT, despite it being half the film that the 2017 version is. And my dad prefers the original Planet of the Apes to the most recent remake (we’re going to pretend like the Marky Mark version—bless his soul— never existed), despite the fact that James Franco is superior to Charlton Heston in every way imaginable (prove me wrong, time!). But sometimes, the original is better. No matter how modern the special effects, or how timely the story, the original is the winner. Like Hitchcock’s moody, black and white Psycho, or Brendan Fraser’s nuanced (and Oscar-worthy) performance in 1999’s The Mummy. This goes for car parts too. Sure, sometimes an aftermarket part is better than the original—but OEM (original equipment manufacturer) parts are always going to be the type of quality parts that come standard with your Ford. So if you’re getting work done on your Ford, you should ask for, no, demand that they use OEM parts. Because this is one of those instances where the original is better than anything that comes after. One reason OEM parts are superior to their aftermarket counterparts is that they were designed with a specific vehicle in mind. This means they fit properly, and have been tested in conjunction with the rest of the vehicle, as a system, for durability. Something as simple as a slight difference with the bumper could lead to an airbag sensor not being tripped in an accident—compromising you and your vehicle. Another thing to keep in mind, Abraham Lincoln didn’t say “All car parts are created equal” (if you remember, he couldn’t tell a lie). You know where your OEM parts come from, which means you know you can trust them. While there are performance aftermarket parts available, those are usually meant for niche users. The majority of aftermarket parts are meant to be a more inexpensive option, but you get what you pay for. The Certified Automotive Parts Association, an American company that certifies aftermarket parts, claims that, after testing aftermarket parts against their corresponding OEM parts (including structural tests, like crash-testing bumpers), only about 25% of aftermarket parts are certified. So unless you see the sticker on the part, telling you that it’s certified, good luck! Perhaps one of the biggest issues with using aftermarket parts, instead of OEM, is your warranty. Let’s say you bought your Ford brand new, did all the right things (like regular scheduled service), and then replaced a part while still under warranty. Except you used an aftermarket part. An aftermarket part that caused an issue with your vehicle. Well guess what that warranty is good for? About as much as the paper it’s printed on (and despite what the folks at Dunder Mifflin might have you believe, paper is not that expensive). Whereas, and this is something you should always double check, an OEM part will ensure that your vehicle stays warranty-compliant. So really, it’s up to you. Save a bit on a part and void your warranty, or—do the right thing and choose an OEM part. I know you don’t want to think about vehicle repair but, no matter how high a standard Ford sets for itself, the only things guaranteed in this life are death, taxes, and vehicle repairs. Whether an accident, or general wear-and-tear, your Ford will need some work somewhere down the line. Of course, you could always keep up with your scheduled maintenance, but even that isn’t a guarantee.  So, when you need to do some work to your Ford, we always suggest you take it to a dealership to be serviced by Ford factory certified-technicians—since they know your Ford as well as the people who built it. Another benefit of having service, maintenance, or parts replaced at the dealership, is that they only use OEM parts. That’s right, Team Ford’s service department only uses OEM parts. This means you’re receiving a part that was made specifically for that vehicle and falls under warranty, not to mention in line with Ford’s official position on the subject. So even if you’ve got to replace something on your Ford, it’s still sort of like the original.